Great cat food. My cats love it!! My cat liked it a little. 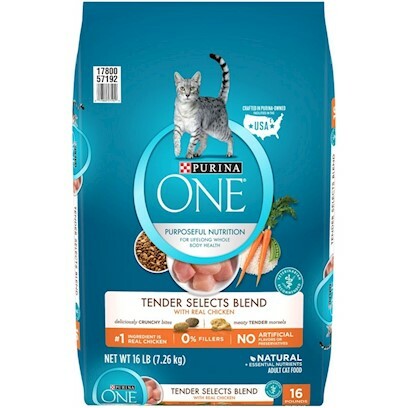 Purina One is Number One! Kitty's crazy over real chicken! Chumlee loved the Purina One Tender Selects! I have found the right cat food! Great Food for a Great Cat! My cats devoured their dishes!